In December 1985, the Strategic Defense Initiative Organization assigned the task to develop Theater Missile Defense architectures to the U.S. Army Strategic Defense Command. This expanding role for the command was reemphasized six months later by Secretary of Defense Caspar Weinberger. He relayed the increasing concern in Europe of the "growing threat posed in the chemical, nuclear and especially conventional areas by increasingly accurate Soviet shorter-range missiles." 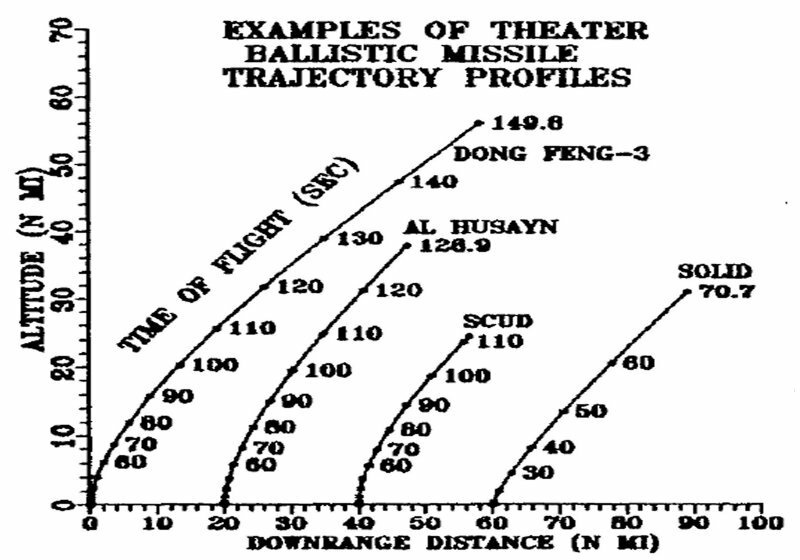 Although the TMD became a new priority, the technologies required to achieve defense against theater ballistic missiles was not new to the command. Many of the sensor and hit-to-kill interceptor technologies that had been developed in Huntsville, Ala., were suited for further refinement for terminal phase and theater defense applications. 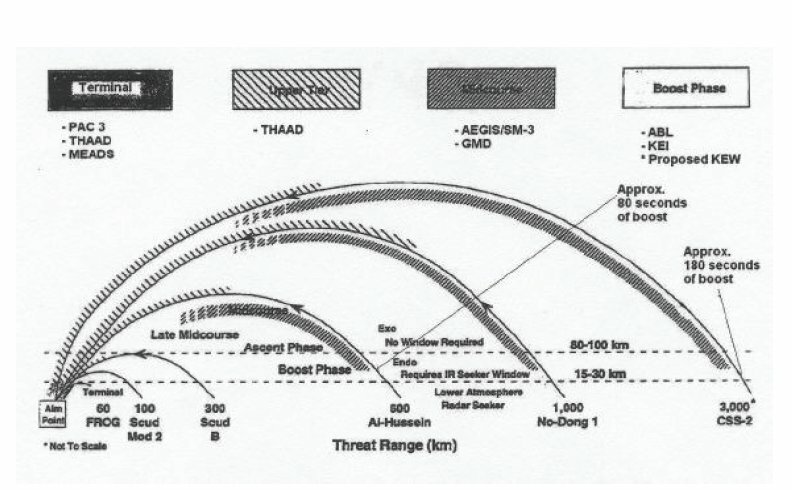 These technologies, such as the phased array ground based radar, the Flexible Lightweight Agile Guided Experiment and the High Endoatmospheric Defense Interceptor made the USASDC uniquely suited to take the lead on TMD research and development. In response to the new TMD task, the USASDC created the Multinational Programs Office in July 1986 "to serve the Army's executive agency charged with the centralized management and direction of the theater missile defense program." The multinational title came from the office's additional duty of developing plans that integrated American and Allied perspectives on TMD threats and missions. In November, the program office was re-designated the Theater Missile Defense Applications Project Office and remained a subordinate office of the USASDC. The command's expertise was acknowledged in January 1991 when all Army TMD functions were assigned to the USASDC. 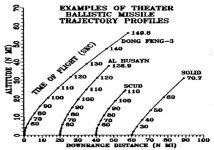 Under the Clinton Administration's Ballistic Missile Defense Organization (BMDO), the Theater Missile Defense (TMD) program consisted of three sequential efforts. First, the BMDO is making near term improvements to existing air and missile defense systems (Talon Shield/Joint Tactical Ground system, HAWK Air Defense System, PATRIOT Guidance Enhanced Missile) to enhance their abilities to defend against shorter range tactical ballistic missiles. Second, is a set of three "core" TMD programs (PATRIOT Advanced Capability (PAC-3), Navy Area Defense, Theater High Altitude Area Defense (THAAD), and Battle Management / Command, Control & Intelligence) Third, is the development of advanced TMD capabilities (Navy Theater Wide Defense, Medium Extended Air Defense System and Boost Phase Intercept) that currently are in the concept exploration phase. Near-term anti-missile improvements to existing air defense systems include the deployment of the Army's Patriot PAC-2 Guidance Enhanced Missiles (GEM), which corrected some of the shortcomings identified during Desert Storm, and the Marine Corps' HAWK Upgrades. These radar-guided systems retain their explosive warheads which are detonated near their targets by proximity fuses. The Patriot PAC-3 is an entirely new missile, derived from the ERINT interceptor, which is intended to counter theater-class ballistic missile threats using hit-to-kill intercept. The PAC-3 missile is fired from the same launcher as earlier versions of Patriot, although eight of the smaller PAC-3 missiles are carried in each firing unit, versus four each of the earlier versions. The Navy Area Defense enhancement to the AEGIS/Standard Missile air defense system was to provides a tactical missile defense capability comparable to that provided by PAC-3. The modified Standard Missile 2 Block IV missiles will be deployed on Ticonderoga-class cruisers and Arleigh Burke-class destroyers equipped with the powerful AEGIS air and missile defense radar. A limited operational capability was planned for 1999 and an initial operational capability is planned for 2001. Instead, the program was cancelled in 2001. Medium Extended Air Defense System (MEADS), formerly known as CorpSAM, is an international effort to develop a replacement for the widely deployed HAWK anti-aircraft system. This highly mobile system, to be deployed with forward deployed and maneuvering ground forces, is intended to provide omni-directional coverage against the full range of air-breathing threats [both aircraft and cruise missiles]. The United States, Germany, and Italy are partners in MEADS, following a decision in early 1995 by France to withdraw from the program. These programs are relatively modest in cost, have limited technical risk, and are intended to counter existing threats from ballistic missile with ranges of hundreds of kilometers. Other more ambitious programs pose greater challenges in countering potential future emerging theater threats. The Army's Theater High Altitude Area Defense [THAAD] is intended to provide extended coverage, engaging incoming missile at ranges of up to several hundred kilometers, versus the tens of kilometers provided by the previously discussed systems. This hit-to-kill interceptor could thus provide multiple engagement opportunities against missiles with ranges of hundreds of kilometers, and enhanced capabilities against future threats from missiles which might have ranges of thousands of kilometers. THAAD missiles are intended to actually collide with the target ballistic missile, rather than destroying it by exploding nearby, as fragmentation warheads do. Final guidance to the target is provided by an infrared seeker on the kill vehicle. The interception of a hostile ballistic missile is intended to occur outside the earth's atmosphere, or high in the atmosphere. The range of the THAAD system is to be approximately 200 km horizontally and 150 km vertically. Each THAAD battery would include 9 launchers and 150 missiles. Based on AEGIS-equipped ships, the Navy's Theater Wide long-range interceptor system will provide wide area coverage against a wide range of threats, including ascent phase intercepts where the ship's mobility permits such engagements.